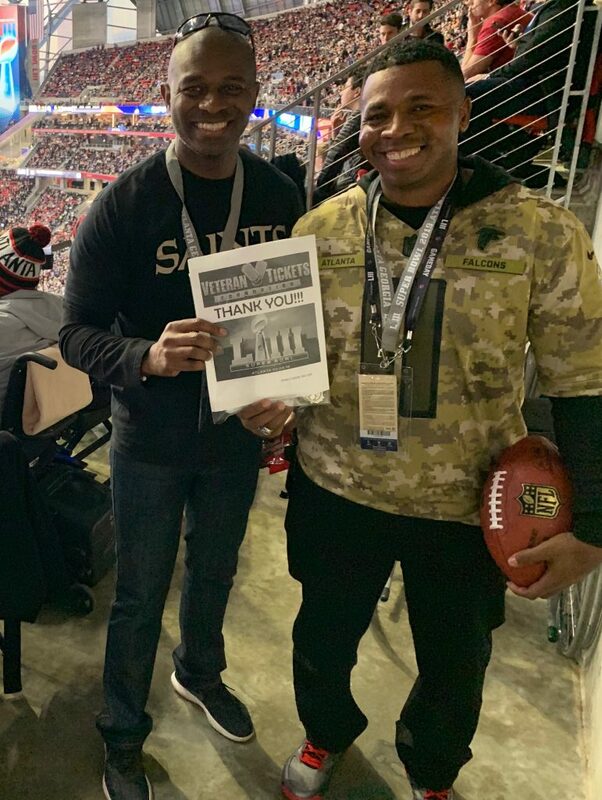 More than 23,000 VetTixers around the Atlanta area vied for the chance to attend Super Bowl LIII – among those, U.S. Army Staff Sgt. Ryan Green and U.S. Army veteran Brad Overton were the lucky winners. Green, a diehard Falcons fan (who had lofty dreams of seeing his team avenged from their 2017 face-off with the Patriots), entered the lottery on a whim, sure he would never be the lucky winner. Overton was going on a casual walk with his dog when he discovered he had won the big tickets vai the lottery, which were donated just two days before the game and included three days lodging, access to the field and a pregame party. 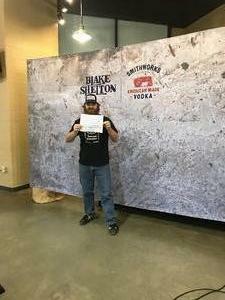 But not only did Overton score tickets, he was treated to a true Vet Tix VIP experience, due to the generosity of an anonymous donor. 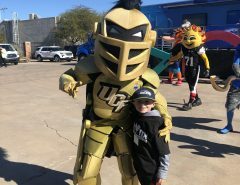 “The pregame party was incredible – food, drinks, celebrity performances and even football legends making appearances. 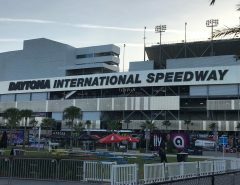 Once in the stadium, our seats were right on the 30-yard line with a great view of all the action,” Overton said. 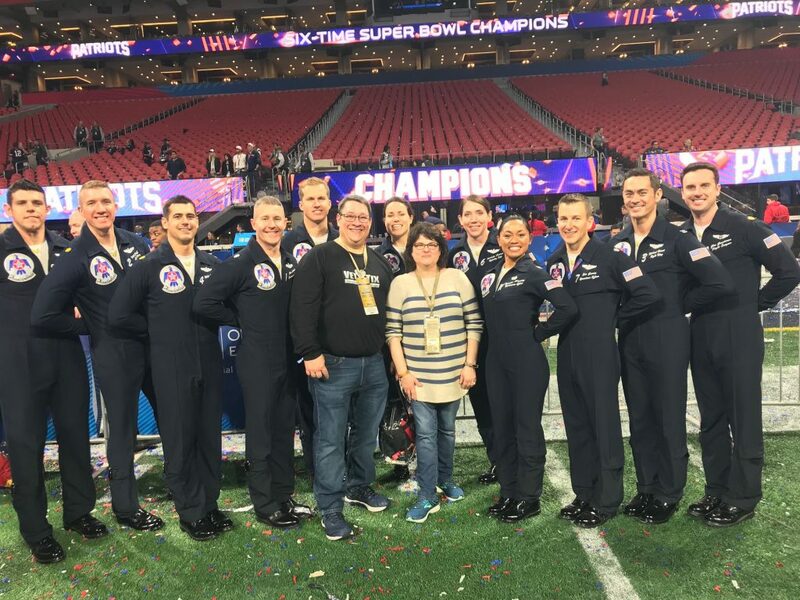 Despite it being the lowest scoring Super Bowl in history, both winners described the game as energizing and unforgettable and called the opportunity to attend a once-in-a-lifetime experience. Great concert and I thank everyone that donated to make this possible. My wife and I enjoyed every song and the venu was very good. FYI; I had to photoshop the Hotel California screen into the picture as I could not catch me and it at the same time (Sorry). Wow is really all I have for that show! To put Blake, John Anderson, Bellamy Brothers, and Trace Adkins on one stage at one time was AWESOME! Lauren Alaina opened up the show with a very impressive performance as well. Thank you Messina Touring Group and VetTix for such a generous donation to a very iconic show! Thank you generous donors and Vet Tix. 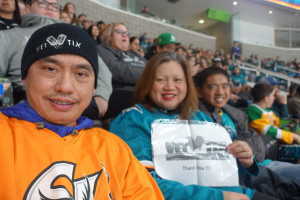 It was a fun hockey experience for the entire family. We had a great weekend. Thank You VETTIX and Individual Donors for this awesome opportunity! We took advantage of the item of the day and scored some Latin Noght Skull Phoenix Suns shirts! The game was competitive throughout until the final minutes. Our highlight of the night was Devin Booker posterizing Anthony Davis from the Pelicans! The energy in the arena after that dunk was endless! 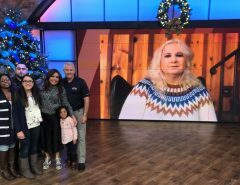 It’s an experience my family will never forget. 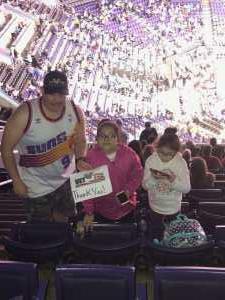 Once again Thank You VETTIX and Individual Donors for this awesome opportunity!